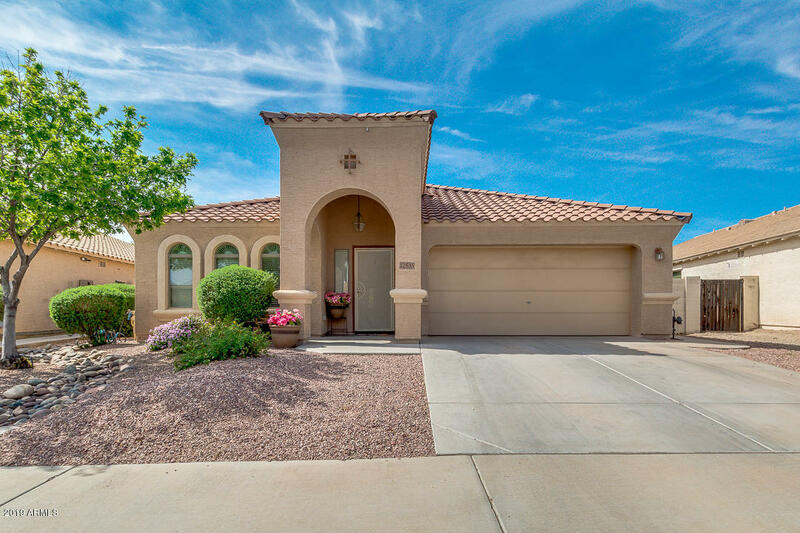 All Sarah Ann Ranch homes currently listed for sale in Surprise as of 04/23/2019 are shown below. You can change the search criteria at any time by pressing the 'Change Search' button below. "Beautiful single-story home in the highly desirable community of Sarah Ann Ranch. Spacious open floor plan, tile floor set on the diagonal, window blinds, ceiling fans and upgraded lighting. Formal dining room can also be used as playroom, office, game room, etc. Eat-in kitchen with center island, breakfast bar, built-in desk/office area, pantry, stainless steel appliances, lots of upgraded cabinets and overlooks the family room. Master bedroom has walk in closet, master bathroom has separate ex"